AU10TIX, a subsidiary of ICTS International N.V., and the UK subsidiary of 3M have entered into an agreement to provide a ID document capture and authentication hardware and software products that will be able to cross-reference and manage records across a wide range of national and international identification cards. The product is designed to meet the regulatory compliance metrics for anti-money laundering and anti-terrorism funding measures. The software includes AU10TIX’s machine-learning enhanced FDI V6 technology for handling of multi-format identification documents. The system will be able to authenticate secure ID documents, automatically create data records and help enterprises and agencies migrate to a paperless data and record management system. The FDI V6 technology can handle multiple document formats, as well as documents that are non-standard, off-standard and worn out. Its algorithms can improve accuracy automatically. The system can be customized and integrated with different client environments. 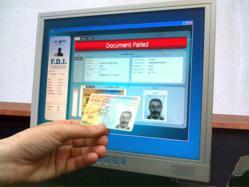 Per the terms of the agreement, 3M will supply the document scanners for ID capture.